Complex Says: When you Google “The Shot,” typically the first image you will come across is this. In the fifth and final game of the first round (they only played five back then kids) Jordan hit the game winner on the road over Craig Ehlo, finishing with 44 points and one of his most memorable clutch shots. 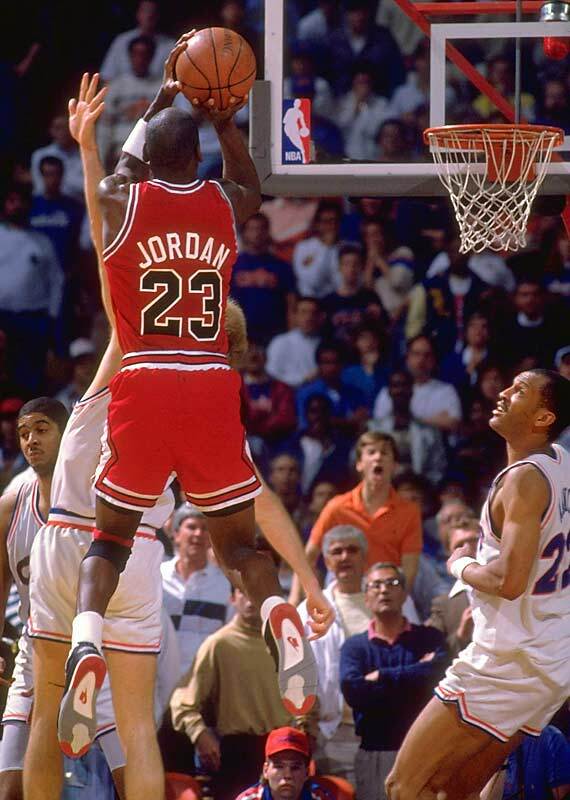 To make matters worse, if you watch the video it looks like MJ kicks Ehlo and knocks him down during his celebration.